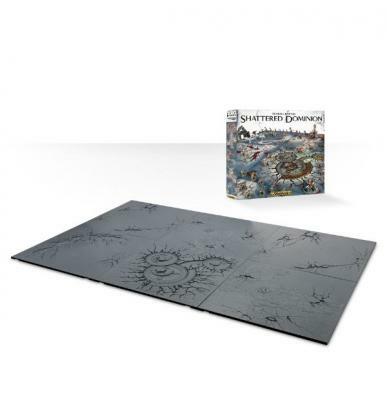 A high-quality, plastic, modular gaming surface, made from the same plastic as your miniatures and paintable in exactly the same way, the Realm of Battle: Shattered Dominion set is made up of six 2’x2’ square sections, arrangeable to create combinations of scenery for your games of Warhammer Age of Sigmar! Two of the tiles – the Fell Chasm and the Arcanabulum – have their own special rules, available to download for free in the Rules tab on the right: the Fell Chasm can swallow units whole, and provides a chokepoint for spectacular battles of attrition and defense, and the Arcanabulum is a huge piece of barely-understood clockwork, constantly shifting and changing below the feet of the warriors who battle upon it, able to affect even time itself! 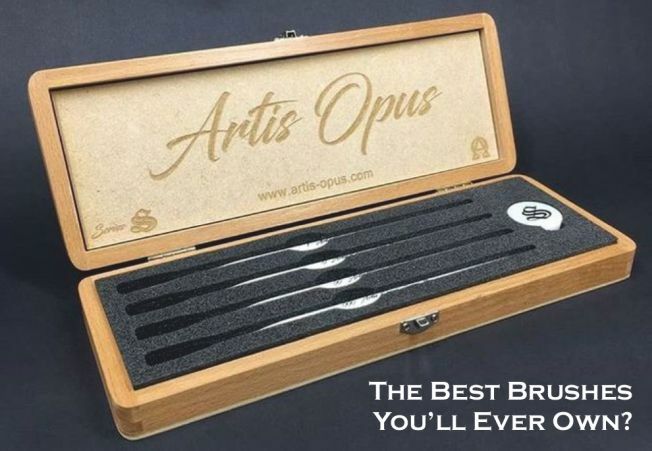 This board is textured and sized to exactly match the existing Realm of Battle gameboards, and comes in an incredibly strong box with a convenient handle for easy storage and transportation.